Merry Christmas! I know we just got through Halloween and then there was Bonfire Night, but I walked through the shops earlier and this packet of Maltesers Merryteaser Mini Reindeer practically jumped into my hand. Besides there is at least one bloke up the road that has put his Christmas lights on his house! 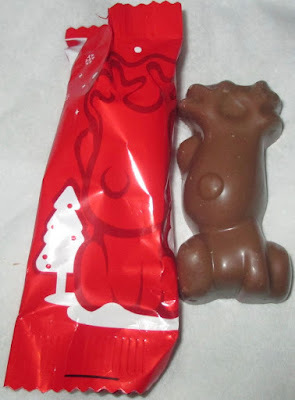 Anyway, with five individually wrapped milk chocolate reindeer with a crunchy honeycombed filling in the 59g packet, they seemed to be begging to be eaten. Each cute chocolate reindeer shape has a crunchy and slightly creamy centre that is a step away from the usual chocolate marble shaped Maltesers. 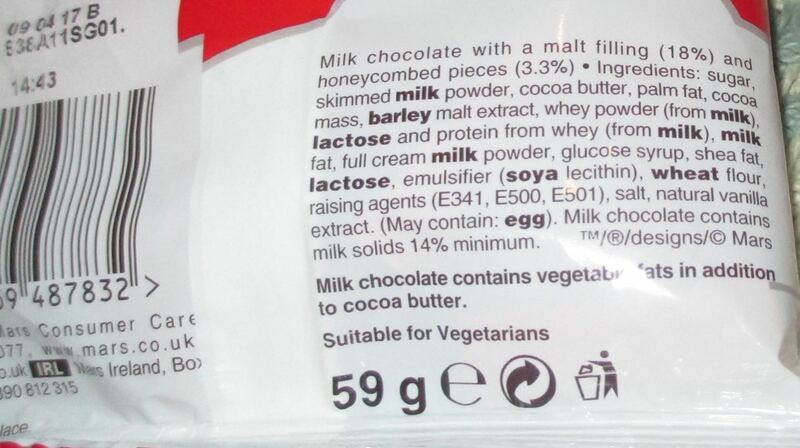 I found the packet went down very quickly. Too quickly to share unfortunately for others, but not unfortunately for me! Merry Christmas! I’m sure I’ll get into the peace, goodwill and share with others mood as Christmas rolls on, however… I am exceptionally greedy! 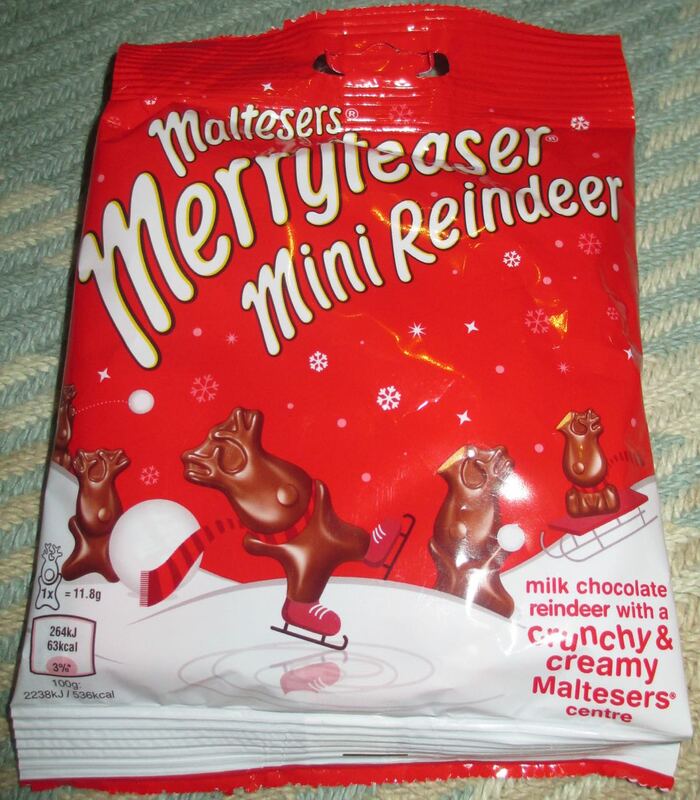 With 63 calories per 11.8g reindeer, having 3.6g of fat, 6.5g of sugar, and 0.04g of salt. See photograph for ingredients.